Spectacular ARCHITECTURALLY PLEASING PATIO HOME IN AN INCREDIBLE LOCATION!!! SOARING VAULTED CEILINGS!! PRIVATE NEWER PEBBLE-TEC POOL WITH NEW TILE AND KOOL-DECKING!! LUSH TROPICAL BACKYARD WITH BUILT-IN BBQ!! NEUTRAL MARBLE VANITY TOPS WITH RAISED CABINENTRY!! 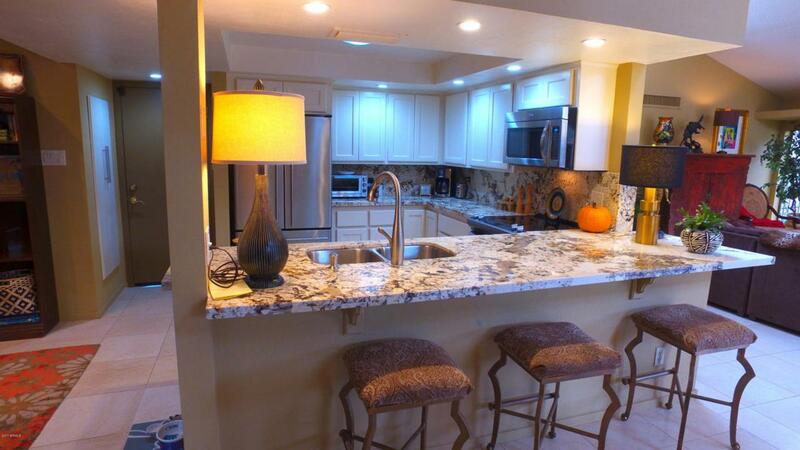 COMPLETELY REMODELED KITCHEN! !SPECKLED BLUE EPOXY GARAGE FLOOR WITH BUILT-IN CABINETRY!! GLASS BLOCK!! LOTS OF CUSTOM MIRRORS AND BAR WITH REFRIGERATOR! WALDEN PLACE IS A BEAUTIFULLY MAINTAINED AND FRIENDLY COMMUNITY!! Seller just -re coated roof. Over $35,000 spent on kitchen remodel. Property generates $30,000 a year as a vacation rental 4 months of the year. AlL appliances included in sale. Listing courtesy of Realty Consultants.